The Quilt Barn is an authorized dealer for "Unique Sewing Furniture". Please remember that this company is UNIQUE, and they can FIT their products to FIT you and your available sewing space. 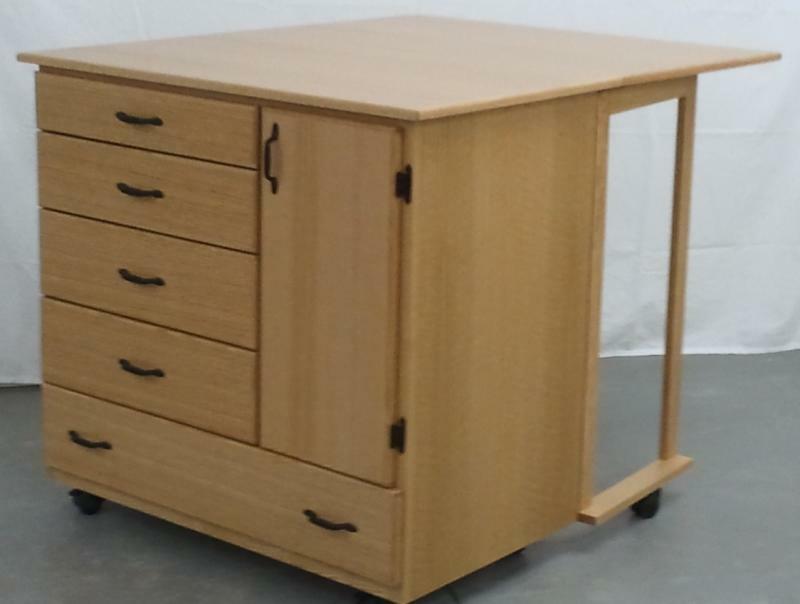 NO Other Sewing Cabinet Company will do that. 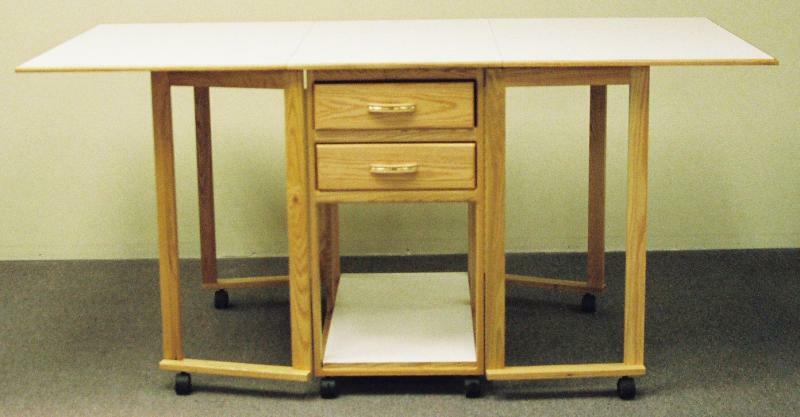 So if you're short, tall or in-between, they can build their custom Sewing Furniture to fit you. All their products have been designed with three goals in mind: first to be FUNCTIONAL, second to be a quality piece of FURNITURE and third to make Sewing, Quilting and Embroidery Work COMFORTABLE. 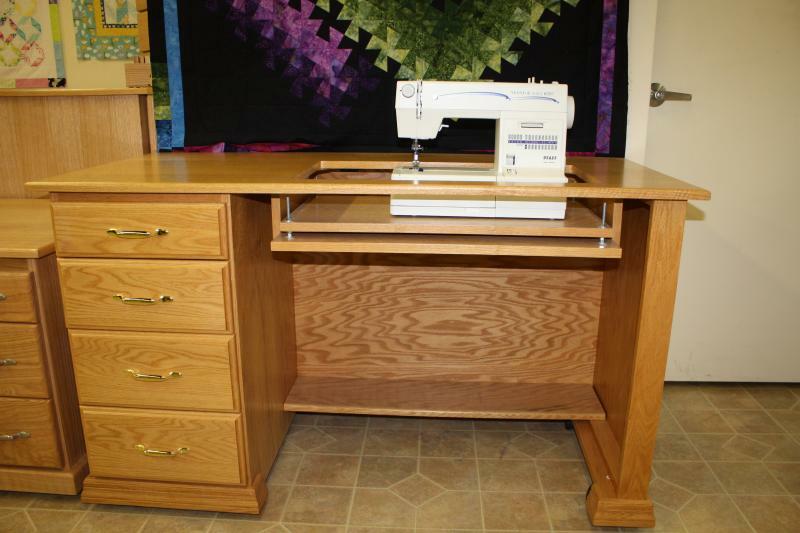 Products are on display in our classroom,, Shown above is one of the sewing machine cabinets available. Here are just a few more pictures of the furniture we have on display at the shop. 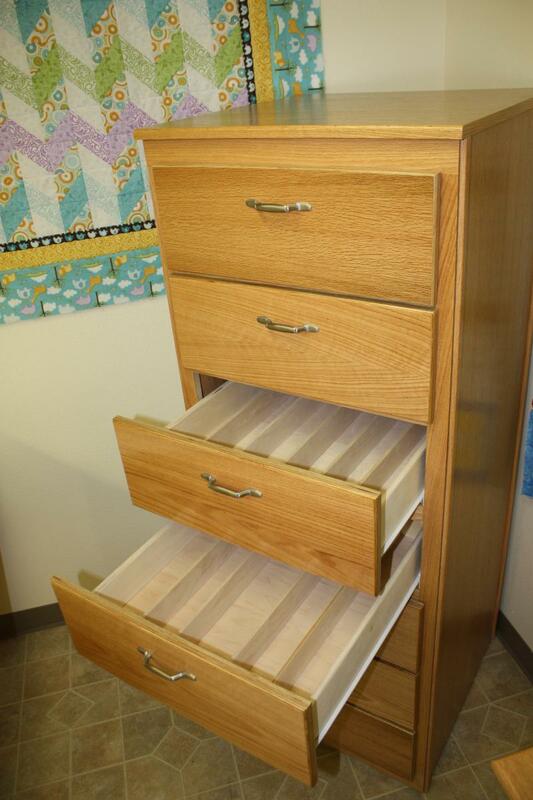 Five or Seven Drawer Thread Cabinet. Holds cones and spool and even projects!